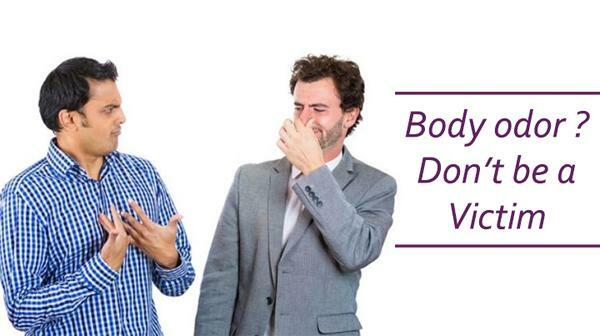 There are a thousand and one causes of body odor, especially in men. They could be sweaty feet, bad breath, use of the the wrong cologne or no cologne at all, no deodorant, a smelly workplace or even dirty or sweaty clothes. One important thing you should know today is that irrespective of the cause of your particular body odor, it’s absolutely easy to tackle and totally stop the body odor from continuous torment of your life. The below is an actionable list of things to do to totally stop and prevent body odor, these when properly applied would completely bring to a halt the activities of these bad body smell that’s been a form of torment for you and those that come close. Bath or shower daily with good bathing soap or body wash that balance out your pH level. I’d advice twice daily or thrice if you sweat a lot. Get rid of excess body hair like under arms and pubic region by trimming only if you feel uncomfortable with your over grown hair but never shave it all off. You should them all of because hair absorbs moisture, which keeps skin dry and minimizes bacteria on the body, by keeping the skin dry the chances of body odor coming from those area is considerably reduced. Cut your hair if you work in a smelly environment or smoke tobacco and it’s various products, smells have a way of sticking to hairs especially thick and bushy ones, If for any reason you don’t want to cut your hair, simply wash your hair daily while bathing. Use deodorant under your arms at all times. Don’t go crazy and turn into the guy who pulls out his deodorant as soon as he thinks no ones looking, just apply at regular paced intervals. Easiest is applying after you bathe, works perfectly fine. Make sure all your toiletries and cologne are the good kind. Always make use of unscented toiletries that won’t clash with the smell of your chosen cologne. Apply a good amount of Cologne or perfume on your body. For fresh breath, proper oral hygiene is essential, besides brushing and using a mouth wash, there’s a method of removing bacteria from your mouth called ‘pulling’. This is when when you swish edible oil in your mouth for about 20 minutes every morning before you brush your teeth. This method is called pulling because It literally “pulls” bacteria from teeth and gums, and frees the tongue of vile smell and taste. Ensure you use edible coconut oil, which is antibacterial, always spit it out after you’ve finished and never swallow. After pulling, use a good toothpaste that combats bad breath and enables fresh breath not just white teeth. Avoid food like garlic and onion for at least 12 hours before important meetings or outings. if possible totally avoid garlic, a friend once swallowed one bob, I wonder for what reason but dude smelt bad for the next 24 hours, I think it was actually more than 24 hours, but I just have to be kind here. For smelly and sweaty feet, always apply foot spray or deodorant and always dry your shoes after use, this is very important. Wash your clothes regularly, change your underwear daily, and always use good detergent that keep your clothes smelling fresh. I don’t know how bad you want to stop the body odor that’s been terrorising you but I can guarantee if you follow these like they’ll take you to heaven, then you’re just an inch away from smelling good too everyone, every time and everywhere. Good luck!